We are investigating after a teenager was left with serious injuries after falling from the roof of a school building. 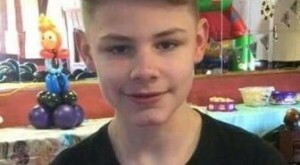 Police were contacted at about 9.45pm on Saturday (June 18th) to a report that 14 year old Kieron Simpson had fallen approximately 20ft from the roof of the disused Habergham High School in Burnley while playing with friends. He was taken by ambulance to the Manchester Children’s Hospital suffering from a fractured skull and internal injuries. He is currently in a critical condition. Detective Inspector Alisa Wilson, of East CID, said: “This young man has suffered serious injuries and our thoughts are with him and his family and friends. While detectives are investigating the circumstances surrounding the fall, at this stage there is nothing to suggest this was anything other than a tragic accident. Any witnesses should contact police on 101 quoting log number 1549 of June 18th.